Zend Guard, the most widely accepted PHP encoding and obfuscation product on the market, protects your application from unlicensed use and reverse engineering. Limiting unauthorized duplication or use of your applications. Ensuring that only licensed customers use your products and that they remain within the terms of your license. Offering flexible licensing terms that make your software products more attractive, increase sales, and improve customer satisfaction. Increasing conversion rate from evaluation to licensed product. Preventing other people from changing your code (all files are rendered as un-editable and external changes will corrupt the code) protecting the files against external tampering. 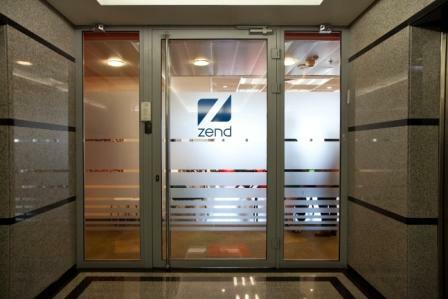 Encoding with the Zend Guard allows developers to encode their PHP script at any time during the development process. More importantly, this enables code to be encoded prior to distribution or publishing. You worked hard to develop your code. Now you need to protect it. Zend Guard's powerful encoding and obfuscation technologies prevent reverse engineering, copyright infringement and unauthorized modification of your code. Encoding is a process where the PHP source code is converted to an intermediate machine readable format, just like PHP encryption. This format is hard for humans to read and convert back to source code. As a result it protects your code from casual browsing. This means that if people obtain access to your site's code they will not be able to use that for unintended purposes. Obfuscation is a process where the code is intentionally made very hard to read as source code or as reverse engineered code. This obfuscation is designed to manage risks that stem from unauthorized access to source code. These risks include loss of intellectual property, ease of probing for application vulnerabilities and loss of revenue that can result when applications are reverse engineered, modified to circumvent licensing and then recompiled. Although reverse engineering always existed in computer software, it is especially important for in computing environments such as PHP which take advantage of dynamic processing of language elements rather than code which has been compiled into machine language before being deployed. 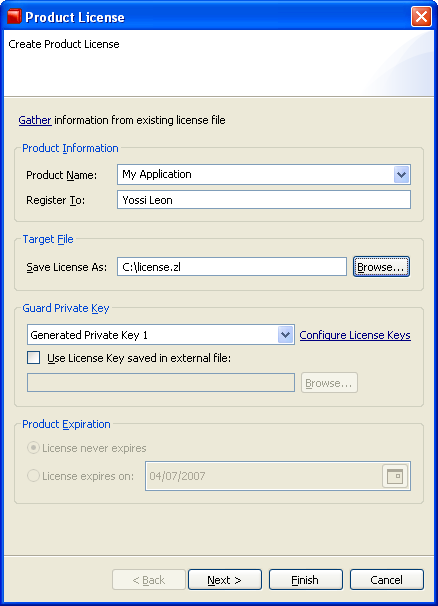 Zend Guard's licensing capabilities allow Independent Software Vendors (ISVs) to create a variety of licensing policies for their commercial PHP applications. The product supports most commonly used licensing models such as concurrent users, time limited, segment of network, or server specific licensing. 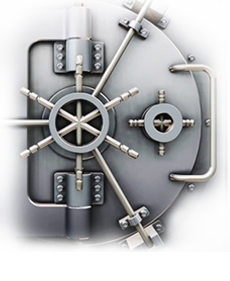 These capabilities allow vendors to maximize their revenue by preventing unauthorized use. Enables PHP source code protection (against copyright infringement and reverse-engineering) of commercial PHP applications through advanced encoding and obfuscation technologies. Provides IT Managers with a solution that prohibits modification of their internal PHP application source code so they can effectively support them. Streamlined integration with Zend Studio – just one click and your PHP application is encoded. Auto-detects and suggests PHP code elements (such as functions and methods) to exclude them from being obfuscated significantly reducing development time. 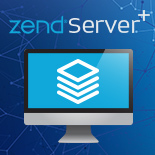 The Zend Guard License Manager both strengthens protection and enhances revenue generation opportunities. Choose from a variety of licensing models such as concurrent users, time limited, segment of network, or server specific. Concurrent Users - Usage is limited by the number of real-time users. Time Limited: - A time limited license used for evaluation purposes or time dependent terms, with pre-set expiration dates. Segment of Network: - Usage is limited by IP address range restricting licenses according to network topology. Specific Server: - License limited to specific hardware, based on Host ID. 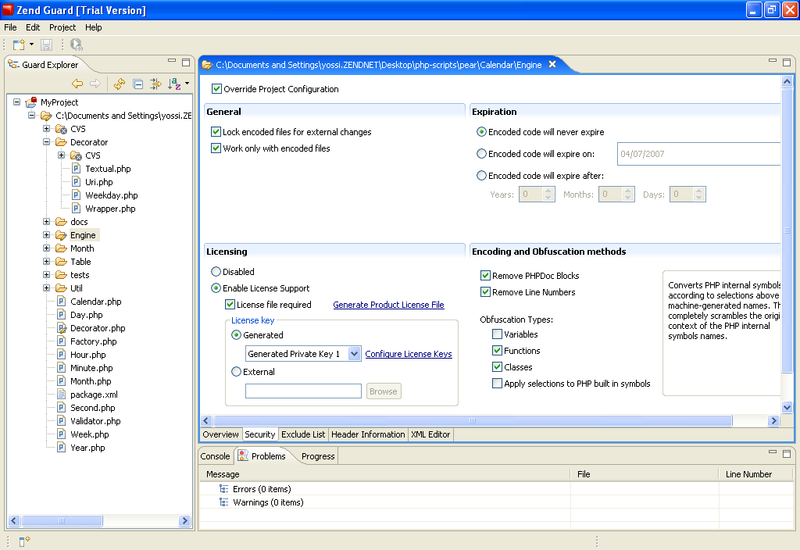 Advanced Options: - Specify advanced licensing options by adding custom code. Zend Optimizer is now obsolete because it's included in PHP 5.3 and later. It is made available free of charge to users of earlier versions of PHP. encoded files. 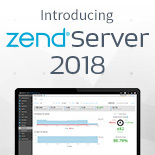 The Zend Optimizer™ boosts PHP performance by going over the intermediate code generated by the standard Zend run-time compiler andoptimizing it for faster execution. In addition, it runs the files encoded by Zend Guard, while enhancing the running speed of PHP applications. Zend Guard Loader is a free runtime application that enables PHP to run the scripts encoded by Zend Guard. It can be used freely by anyone looking to run encoded applications.